Creamy deliciousness and a snap to make, that’s what these cool and refreshing frozen popsicles are all about. Enjoy every last lick! This is a wonderful, creamy treat for the entire family. After making this recipe, you won’t need to buy these pops at the market anymore, especially since these take only minutes to prepare. 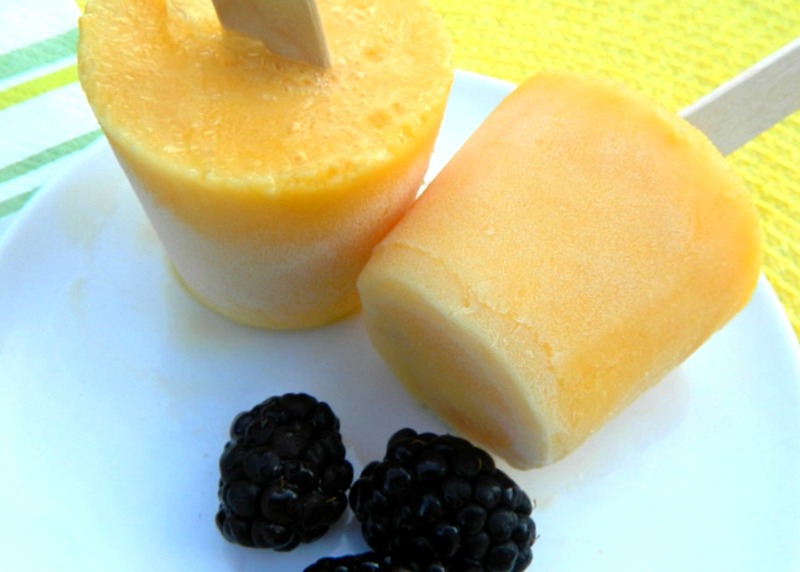 I love this healthy recipe, they remind me of having creamsicles as a child. I loved them then and I love them even more now knowing I can make them with better ingredients for my family. My son loves these and says they tastes just like the ones he would get from the ice cream man. I think so too. Have 8 cups ready in an 8 inch round or square pan lined with paper towels. In a blender, whirl up the 3 cups of oranges until smooth. Add the yogurt, honey and vanilla extract. Blend once more until you have a smooth, creamy mixture. Pour into paper cups and cover with the small pieces of foil over each. Freeze for about 30 minutes. Remove from freezer and make a small cut in each piece of foil and insert the wooden stick into each cup. Put back in the freezer until completely frozen. About 6-8 hours. Enjoy this creamy cool treat!